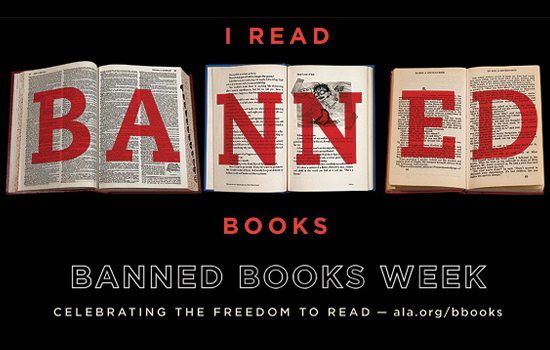 Today is the start of Banned Books Week, a celebration of those titles that have been challenged and banned from schools/libraries due to content considered “inappropriate” for any number of reasons, ranging from race relations to sexuality to magic. This year, the ALA is highlighting graphic novels, citing Alison Bechdel’s Fun Home: A Family Tragicomic, which was recently made into a Broadway musical, and Marjane Satrapi’s Persepolis. I started a personal Banned Books challenge in 2010, choosing books I own but had not yet read from the top 100 most-often banned classics. This year, I’m choosing banned books by female authors. First up is Zora Neale Hurston’s Their Eyes Were Watching God. How many of the top 100 classics have you read? Want to join me in challenging yourself to read one or more from the classics, or any of the annual top 10 lists, this week?